The Tucson isn't just a good-looking crossover; it has to be one of the most attractive vehicles of its type in any price range. The Hyundai shares many styling elements with its bigger brother, but it still manages to be more interesting and attractive than the Santa Fe. If buyers choose the Sport or Limited models, with their stunning 19-inch wheels, they really are in for a visual treat. Higher trim versions of the Ford Focus are also quite a bit more stylish than their lower trim siblings--and that's one of the main differences here. While even entry-level versions of the Tucson are still attractive, base versions of the Focus are plain, boring, and a little like an automotive wallflower--nothing truly attractive about them. This opening skirmish is an easy victory for the Hyundai. Cargo capacity might be a bit limited in the Tucson compared to some of its rivals, but the styling and comfort offered to passengers is excellent. The quality of materials used inside the cabin is very good, and the seats are well-bolstered and comfortable enough for any journey. Regardless of trim level chosen, the design and layout of the dash is outstanding. The interior is where the argument for a crossover becomes strongest, especially when we look at interior dimensions in some detail. Despite being longer than the Tucson, the Focus only has 90.7 cu.-ft. of passenger volume compared to the 102.2 cu.-ft. of the Hyundai, and the five inches of leg room the Focus gives away to the Tucson in the back completes the picture. It's got to be another win for the Tucson then. A direct-injected 2.0-liter inline-four powers base versions of the Tucson, which offers 164 horsepower and 151 lb.-ft. of torque. The rest of the range get a more lively 1.6-liter turbo-four, mated to a seven-speed dual-clutch transmission and developing 175 horsepower and 195 lb.-ft. The turbo has more than enough power for most buyers, and the transmission shifts almost seamlessly. Of course, all-wheel drive is available. The base engine in the Focus isn't as powerful as the Tucson's, and the optional three-cylinder 1.0-liter only has 123 horsepower to offer. However, the Focus can also be found in the performance ST and RS versions that produce more power than the Hyundai can dream about, so this round has to go to the Ford. A lot of buyers assume that crossovers are safer than cars, but that's not always the case. 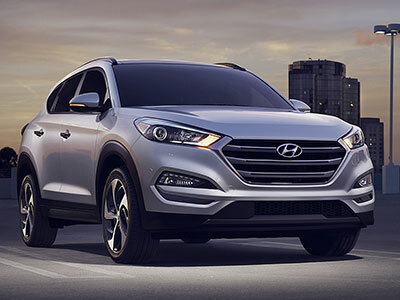 The Hyundai Tucson is backed by its full five-star rating for overall safety from the NHTSA and its Top Safety Pick status from the IIHS. 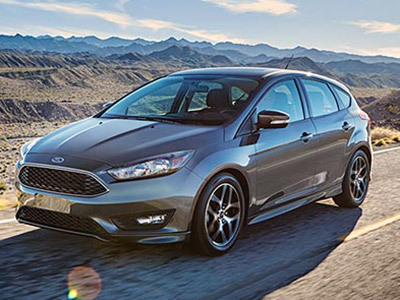 The Focus used to be considered a pretty safe car in its class back in 2012 when this generation was launched, but standards have got higher and crash test regimes have got tougher. The Focus still gets full marks from the feds at the NHTSA, but the IIHS doesn't rate it as highly as the Tucson. At the entry level, a Ford Focus costs a lot less than a 2017 Hyundai Tucson. But once you start to go up the trim levels, the price difference shrinks. The Tucson can't match the performance of a Focus ST or RS, but in every other way it's easy to see why so many of us prefer crossovers. The Hyundai Tucson is our clear winner here.